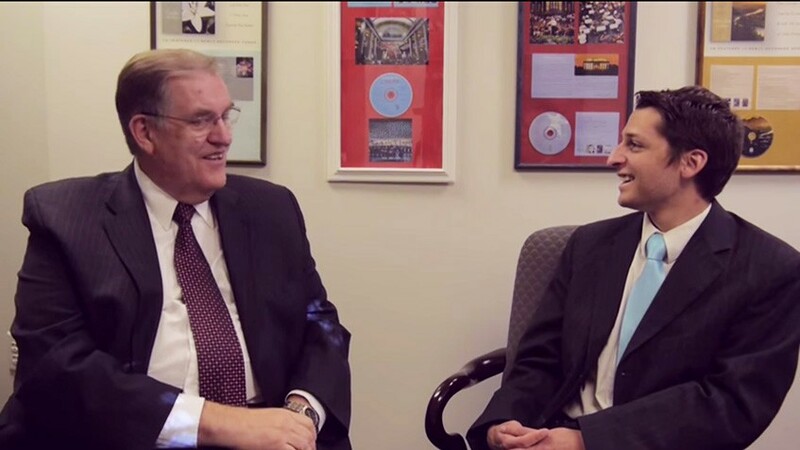 “Going to Carnegie Hall is a dream for all of us,” said Mormon Tabernacle Choir Director, Mack Wilberg in a recent interview with Heidi Swinton on the Mormon Channel. And he’s right: simply being on stage or in the audience of the world-renowned concert hall would be enough for most of us. Have you ever dreamed of singing with the world-renowned Mormon Tabernacle Choir? This is your big opportunity to fulfill your dreams. We are holding a 24-hour Instagram contest Monday June 29, 2015 from 6:00 p.m. through Tuesday, June 30 at 6:00 p.m. We will notify the winners when the contest ends. There will be a total of 5 winners. Have you ever wondered what the members of the Mormon Tabernacle Choir do when they’re on a tour bus for hours at a time? We talked to some Choir members to get their perspective, and some of the answers might surprise you. Click here for a glimpse into one of the Choir's 11 tour buses. Saratoga Springs Concert SOLD OUT! 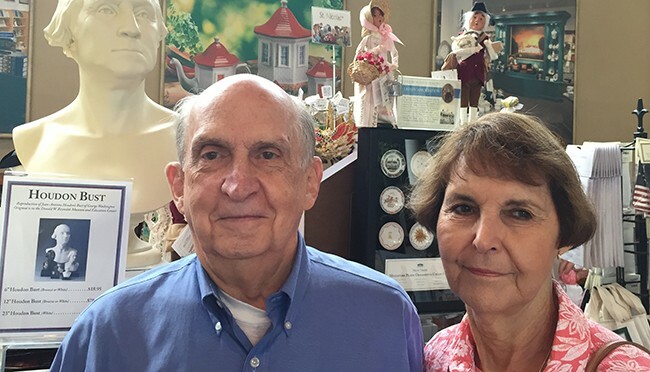 Take a Bow Bob and Gloria! The Choir is familiar with traveling. And being followed by cameras. Touring is a lot of standing, lining up, waiting, sitting, sleeping on buses, trains, planes and even floors and then the lights come up and the Choir sings. Oh, how the Choir can sing. After years of preparation, planning and extra memorization time, the members of the Mormon Tabernacle Choir and Orchestra at Temple Square were naturally excited to embark on a two week tour of the northeastern states. Who better to bring out that excitement than their energetic pop star friend and guest soloist, Alex Boyé. It’s hard to move 600 people around every day on tour. Just ask Barry Anderson, Administrative Manager of the Mormon Tabernacle Choir. But, his philosophy in the process of planning tours is “to pick venues and go out and make a splash!” And he makes it look easy. Every two years for almost two decades, the Mormon Tabernacle Choir has toured performing in both international and national concert halls and outdoor theaters. The Choir and Orchestra at Temple Square will be performing five major concerts in Maryland, New York and Massachusetts including two programs in the famous Carnegie Hall. Things are about to get wild on America’s Got Talent—Alex Boyé will be taking the stage by storm. In the show’s preview, Boyé is seen dancing with a band mate, followed by a clip where he appears to jump off the stage. As the clips are shown in the preview, the announcer is heard saying, “One act stops the show—literally.” One of the show's judges, Howie Mandel, then asks, “Is he ok?” followed by the show’s host, Nick Cannon, saying, “We have an injury on the side of the stage.” A clearly concerned Howard Stern then turns to his fellow judges and affirms, “He’s on the ground.” The sound of sirens is then heard blaring in the background. How many people does it take to put an electronic organ together? What does it look like? For the Choir’s 2015 tour, a custom electronic organ was purchased so the organists can have a transportable instrument that emulates the sounds of some of the world’s most popular organs. The sounds are chosen by touchscreen computers that act as the stops on a traditional pipe organ do. Having this custom organ will allow the organists to have a uniform sound in each location. The volume will be controlled by the same soundboard that controls the microphones in order to create optimal blending with the 300-plus Choir singers and 68 Orchestra members. Moving Luggage on Tour Is a Major Undertaking! If 600 or so people are going on the Atlantic Coast tour of the Mormon Tabernacle Choir, what does that say about how much luggage is going as well? And instruments? And wardrobe containers? The task is then matching everyone up upon arrival with the right pieces. We hope you’ll come to see the Mormon Tabernacle Choir and Orchestra at Temple Square this summer! The concerts will be amazing and the music will touch your heart! Alex Boyé will return as a guest soloist, singing some amazing spirituals. If you haven’t purchased your tickets yet, there are some really great discounts, so you, your family and friends can enjoy this unique experience. See the codes below and please feel free to share this on your social media accounts. The Choir has been taking tours for 130 years. The first was to American Fork, Utah, in 1880. In 1893, the Choir's first out-of-state tour was to the Chicago World’s Fair, where it placed second in a choral competition. In 1911, the Mormon Tabernacle Choir performed in New York City, where it will perform again this summer. The Choir has toured the United States, Canada, and much of the rest of the world, including Great Britain, Denmark, Germany, Russia, Israel, and Australia, to name a few previous tour destination. Every two years for almost two decades, the Mormon Tabernacle Choir has gone on tour, performing in both international and national concert halls and outdoor venues. The Choir and Orchestra at Temple Square will be performing seven major concerts in Maryland, New York and Massachusetts, including two programs in Stern Auditorium on the Perelman Stage in the famous Carnegie Hall.